With the 2017 Australian Open done and dusted, two indoor hardcourt tournaments, from February 13-19, will deliver ATP World Tour 500 Series action. The USA and the Netherlands host competitions featuring some top-ranked ATP players. 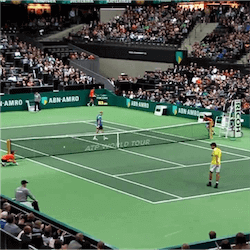 The Netherlands sees the Rotterdam Open, known under its current sponsors as the ABN AMRO World Tennis Tournament, at the Ahoy Rotterdam centre. This competition, in existence since 1972, will be the one punters focus on, with a number of players in the ATP Top 15 signed up. Top seed is Swiss World No. 4 Stan Wawrinka, keen to erase the memory of his Australian Open semifinal defeat to fellow Swiss Roger Federer. But Rafael Nadal, now at No. 9, went down to Federer in an even harder-fought Melbourne final, so he has just as much incentive as Wawrinka to leave everything on the court in Rotterdam. World No. 13, Australia’s Nick Kyrgios was bounced from the Australian Open in Round 2, so punters shouldn’t underestimate his hunger for revenge either. Austrian Dominic Thiem at No. 8, plus the respective World Nos. 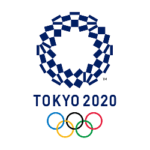 10-12, Czech Tomas Berdych, Belgian David Goffin, and France’s Jo-Wilfried Tsonga, will also be tough to beat. The Racquet Club of Memphis hosts the Memphis Open at the same time, so it won’t feature the same range of Top 15 talent as Rotterdam will. But it attracts a following as the only indoor hardcourt ATP tournament in the USA, and while its field won’t be as accomplished as the ABN AMRO, it has enough evenly matched nominees to make for some worthwhile betting. Top seed is the USA’s John Isner, World No. 19 who was also bundled out of the Australian Open in Round 2. Croatian Ivo Karlovic, No. 21, made it to the third round in Melbourne. 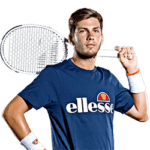 But it was his record 75 Aces, which took him to victory in a marathon five-set first round match against Horacio Zeballos, that will make punters sit up and take notice. Isner certainly can’t afford to discount the second seed. The Australian Open also saw local star Bernard Tomic make the third round, along with American Sam Querrey, whose countryman Steve Johnson made it to Round 2. All three will be playing in the Tennessee tournament, and any one could create an upset.